I’ve been a slacker. I admit it. I promised to give you some cooking tips and my favorite recipes but I got busy solving another case. This was a tough one. My son Josh’s fiancee was accused of the attempted murder of her father. I had to go to Montana to solve the case. You can read all about it in Death by Justice. But now that I’m back home, I’ve got time to blog for Anne. It’s summer and while I don’t pretend to be one of those healthy-ingredients-only chefs, I do appreciate the fresh seasonal produce, especially the fruit. 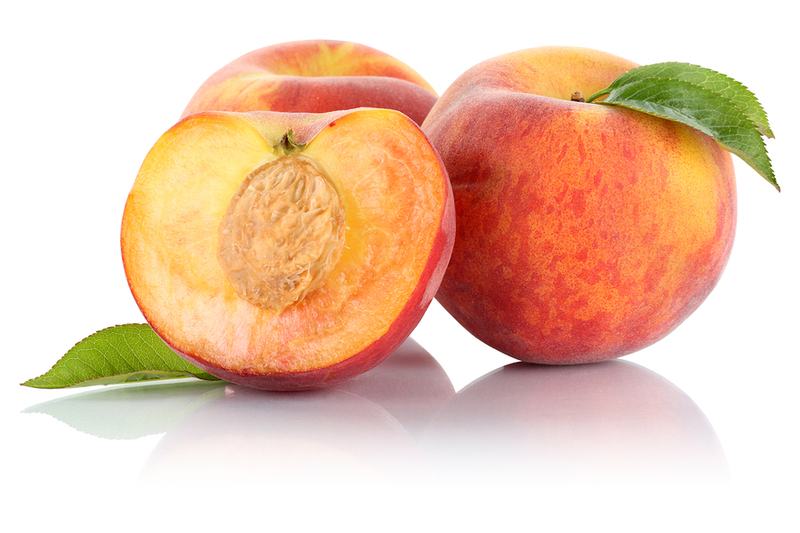 My kingdom for a perfectly ripened peach. My fave farmers’ market is South of the James here in Richmond, VA. I go on Saturday mornings to browse, shop and, okay I confess, eat Mrs. Yoders’ donuts. 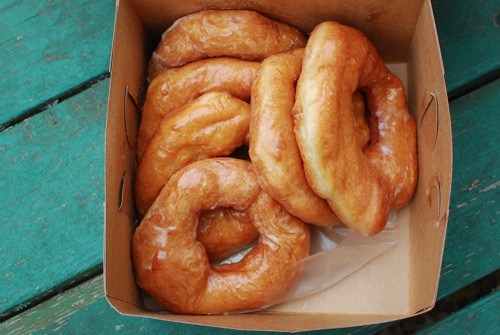 Yes, donuts. Fresh. Hot. Deeeeeelish! These donuts are legendary and the line is often long. The wait is worth it. I would kill for the recipe but, alas, I have to stand in the line that snakes through the crowd as diehard fans patiently wait for their large, lumpy, hand-dipped glazed doughnuts. Enough about donuts. Back to peaches. One of my favorite things is a simple salad of grilled peaches and goat cheese. First, whip up a simple dressing of four tablespoons olive oil, two tablespoons golden balsamic vinegar, a teaspoon of honey, salt and pepper to taste. Brush six peach halves (pits removed) with a bit of dressing and grill, cut side down, for about five minutes. Let them cool, slice, and add to a bed of arugula. Add fresh goat cheese. You can also add some fresh blueberries and sliced almonds. Serves four.